When first login to the Management server via NuClent, it will showing a warnning message: You haven't set the config volume. Please choose one volume to save config. This is because in Crystal Titan we save the all the configuratio in the Hard Drive. 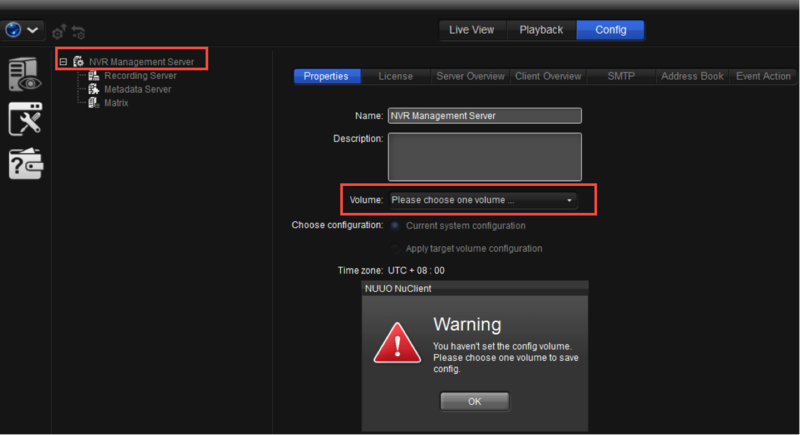 So please choose a volume for the Management Server to save all the centralized configuration.